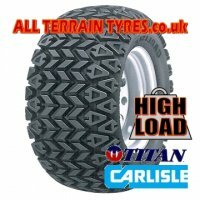 THE Carlisle ALL TRAIL is a heavy duty high load capacity tyre designed primarily for use on utility vehicles such as the John Deere Gator, Kubota RTV and Kawasaki Mule. It is purpose built for harder surface applications such as lawn, gravel and tarmac. Highly recommended for golf course and grounds maintenance vehicles that regularly carry heavy loads along with tools, equipment and two passengers! 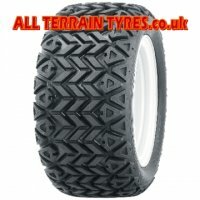 The ALL TRAIL offers an amazingly smooth ride, but the bar like tread still delivers plenty of drive in snow or soft ground when required.